A Swiss Town, A Casino Fire And 'Smoke On The Water' : Parallels This lakeside town of Montreux just hosted talks on Iran's nuclear program. But music fans know it for its rich musical heritage, including a starring role in "Smoke On The Water." 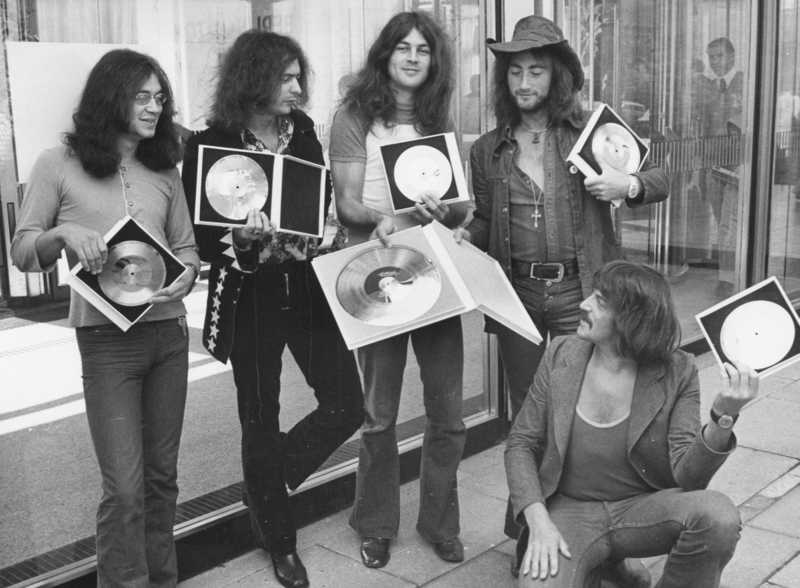 The British rock band Deep Purple, shown here in 1971, wrote the hit song "Smoke on the Water," after watching the casino in Montreux, Switzerland, go up in flames later that year. The casino caught fire during a Frank Zappa concert. The lakeside Swiss town of Montreux was in the news this week as the host of nuclear talks between Iran and six world powers. But for rockers of a certain age, Montreux will always be best known for its rich musical history — including the roaring casino fire that inspired the English rock band Deep Purple's classic "Smoke on the Water." The story goes that on Dec. 4, 1971, Frank Zappa and the Mothers of Invention were playing a gig at the Montreux casino. The band was nearly 90 minutes into the show, cranking through "King Kong," when someone in the crowd fired a flare gun at the wooden roof, which instantly caught fire. But some stupid with a flare gun burned the place to the ground. As the blaze spread, Montreux Jazz Festival organizer Claude Nobs joined firefighters to race in and out of the venue, dragging concert-goers to safety. It died with an awful sound. Pulling kids out the ground. Deep Purple was in Montreux with a sound truck rented from the Rolling Stones to lay down some tracks. They were forced out of their rooms by the fire, but memories of the smoke billowing out across Lac Leman, or Lake Geneva, gave them a song title. Before long, Ritchie Blackmore's classic guitar riff was being copied, it seemed, by every cover band and guitar-playing teenager. "Smoke on the Water" reached number 4 on the Billboard pop singles chart in 1973, and in 2004 was included in Rolling Stone magazine's "The 500 Greatest Songs of All Time." For more on the famous fire, you can hear Zappa's recollections here. The rebuilt Montreux Casino, which burned down in 1971. 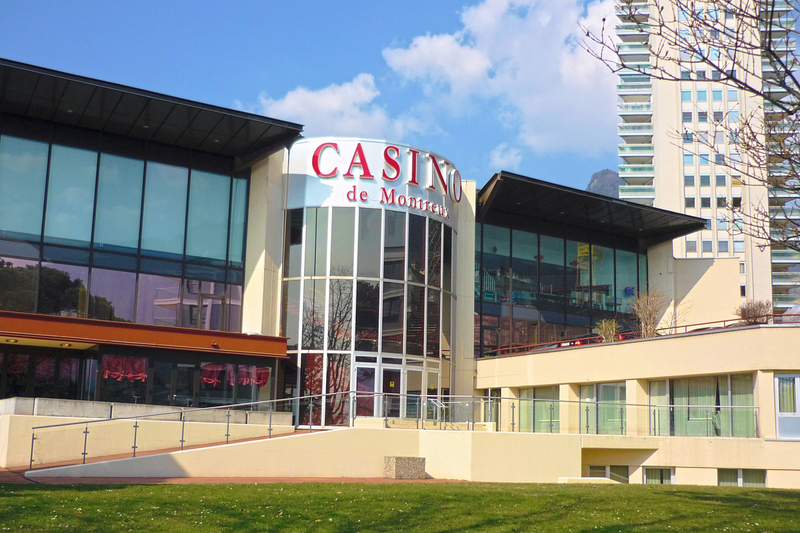 And if you're in Montreux, after a coffee or a cocktail at Funky Claude's Bar, you can find a memorial to Deep Purple and their classic song near the rebuilt casino. It's not far from the stature of Freddie Mercury. Queen, after all, recorded seven albums in Montreux, and visitors can still get a tour of the studio.